StaySafe App Chosen by Estate Agent Martin and Co to Help Protect Their Lone Workers. Martin and Co have launched the StaySafe Business App and surrounding monitoring service to provide peace of mind to their lone working agents. We have had extremely positive feedback from our team who find the app easy to use and now feel more confident when meeting with unknown clients. The StaySafe Business App allows Martin and Co Leeds City & Leeds North to monitor their employees’ safety and GPS location through an online Hub. The employee is able to start a timed session and alert their employer through a number of features if they face any danger. As an office belonging to the largest letting and property management franchise in the UK, Martin and Co Leeds City & Leeds North rely on their lone workers to provide their award-winning service. Prior to working with StaySafe, Martin and Co utilised a diary system to keep track of employee safety. However, after undertaking a review of their lone working policies they concluded they needed a more robust system in order to fully meet their duty of care as an employer. Following a two-week trial of the BS8484 accredited StaySafe app and Hub, Martin and Co decided to roll out the solution across their business. The app works on iPhone, Android and BlackBerry and offers a wide range of functions including a panic button, working session expiry, GPS tracking, inactivity and duress alerts. If an employee activates the app’s panic button or fails to check in, alerts are automatically triggered on screen and via text and email, allowing an employer to take immediate action. Martin and Co undertake the monitoring of their employees in-house via an online hub but monitoring can also be outsourced to one of StaySafe’s professional partners who offer 24/7 monitoring and response services. Elizabeth Richardson at Martin and Co said “We have had extremely positive feedback from our team who find the app easy to use and now feel more confident when meeting with unknown clients. We were particularly impressed with the range of features the app provides including the discreet panic function and duress pin. Because our employees often work on a one to one basis, these features allow them to discreetly signal for help if they feel uncomfortable or threatened. We are delighted to be working with StaySafe and are confident that we are now providing the level of care required to meet lone worker legislation”. Don Cameron CEO at StaySafe comments “Due to the nature of the Property Industry, lone worker safety is something that has to be taken seriously. Sadly, there have been a number of high profile attacks committed against estate agents, the most widely remembered being the murder of Suzi Lamplugh in 1986. The Suzy Lamplugh trust have since been providing a number of services to help protect lone workers across all industries and we are proud to be recommend as one of their lone worker safety solutions. 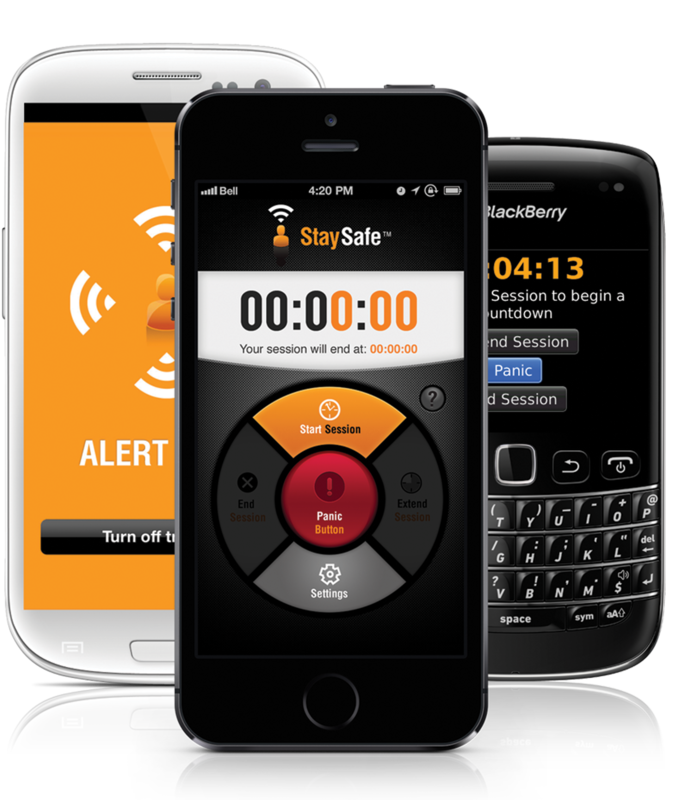 StaySafe turns any smartphone into a safety device without the need for additional equipment, making it ideal for Estate Agents and other professionals who have their phone or tablet on them at all times”. Martin & Co is part of the Property Franchise Group, the largest letting and property management franchise business in the UK with a network of just under 300 offices. The company has a very strong high-street and online presence and is nationally acknowledged for its award-winning service.